In addition to all of the same great features of the regular Liberty nail Liberty Cu horseshoe nails include Copper (Cu) Shield Technology. This technology provides more protection than traditional horseshoe nails. Hoof wall, white line and sole are stronger and healthier when Liberty Cu nails are used on a daily basis. 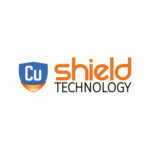 The Copper(Cu) Shield Technology is unique to Kerckhaert and Liberty Cu horseshoe nails. NLC5R Liberty Copper Nails - 5 Race 250 pc. NLCC5SL Liberty Copper Nails - 5 Combo Slim - 250 pc. NLCE2SL Liberty Copper Nails- E2 Slim - 250 pc. NLCE3SL Liberty Copper Nails- E3 Slim - 250 pc. NLCE4SL Liberty Copper Nails- E4 Slim - 250 pc. NLCE5SL Liberty Copper Nails- E5 Slim - 250 pc. NLCE6SL Liberty Copper Nails- E6 Slim - 250 pc.